FINISHING SCHOOLUpon arriving in France, the outfits were sent to training schools. 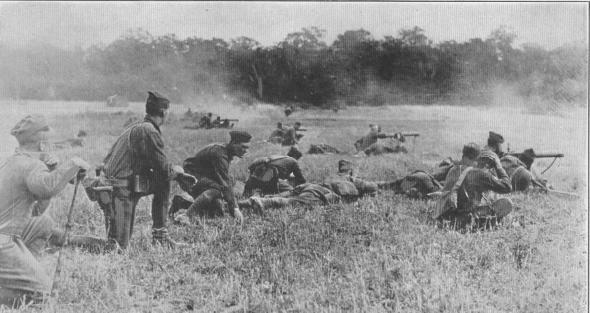 Machine Gun Company, 356th Infantry, 89th Division, at target practice just before a big drive. Near Boucq, Department of Meurthe et Moselle, France. ADVANCEAfter their training had been thoroughly completed, the new soldiers were sent on to the front lines. 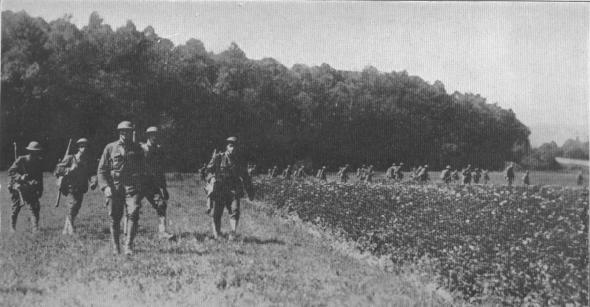 Here we see American infantrymen advancing in combat formation at the 1st Corps School, Gondrecourt, France.